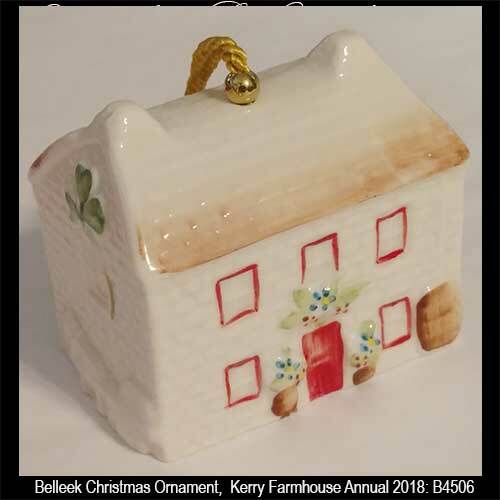 This Belleek ornament is the 31st in the series, introduced in 2018. 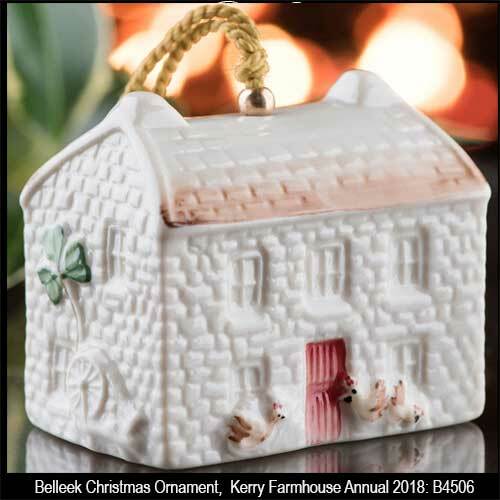 The fine Irish china Kerry Farmhouse ornament from Belleek is the 31st in a series and it is the Belleek 2018 annual Christmas ornament bell. 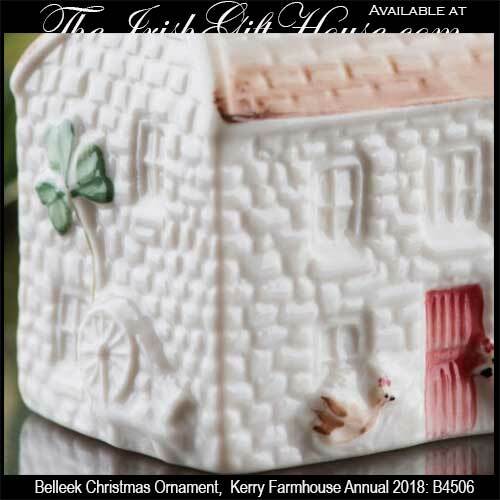 The Kerry Farmhouse ornament evokes characteristics, such as the embossed horse and cart, that are inspired by Irish farms including those in Kenmare, Co. Kerry. 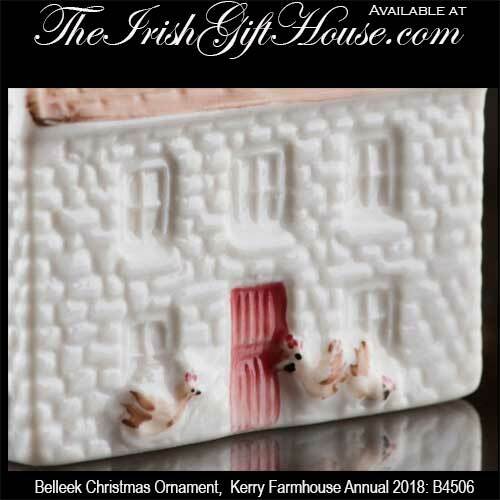 The Belleek ornament is further enhanced with an embossed spinning wheel along with animals, fowl and hand painted flowers; additionally the cottage has hand-painted green shamrocks along with embossed windows and doors. 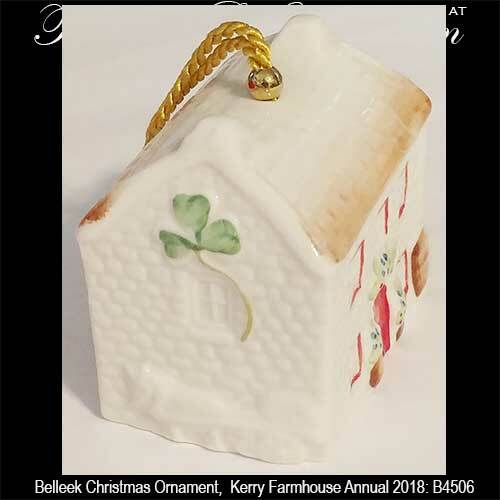 The Belleek annual ornament measures 2 1/2" long x 1 1/2" wide x 2 1/2" tall and it is hand crafted in Belleek, Ireland.